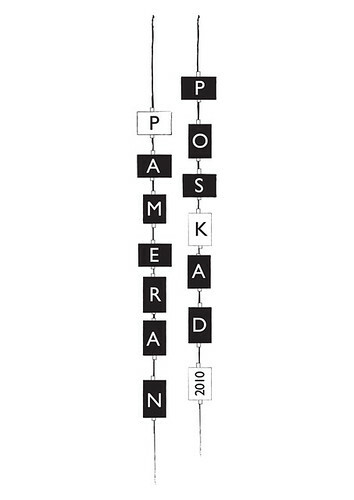 Keyakismos (Art printmakers Eitaro and Tamae) asked us to develop the website for their 2010 edition of Pameran Poskad. We decided to create a new visual identity for the project instead before working with breathe for web technology, for the eventual website. Drawing from Pameran Poskad's unassumingly open platform for both amateur and established artists alike to create and show ten postcard-sized artworks (they must fit into the 12cmx18cm sleeve provided), we wanted the visual identity to be similarly straightforward in its expression. We looked through a series of photographs taken at the past exhibitions. Behind the enthusiastic crowd, one could always glimpse the varied postcard-sized works, lined up vertically in neat, simple rows. We took that as our starting point, and tried to introduce a sense of motion to the otherwise quiet rectangles.